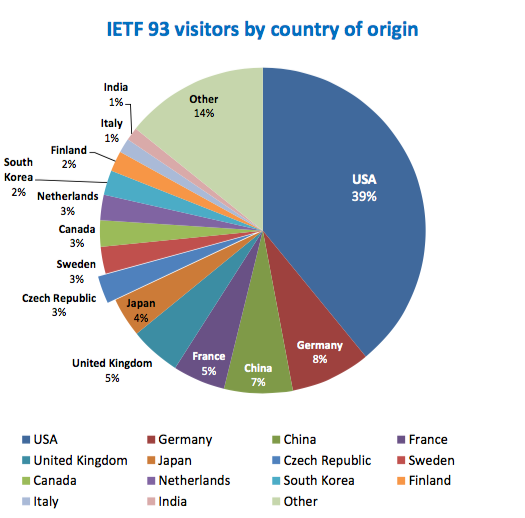 In our today’s blogpost, let’s look at the numbers of the IETF 93; instead of wordy texts you may look forward to graphs (and graphics) on the development of IETF attendance for the last 5 years and participants’ most frequent country of origin. 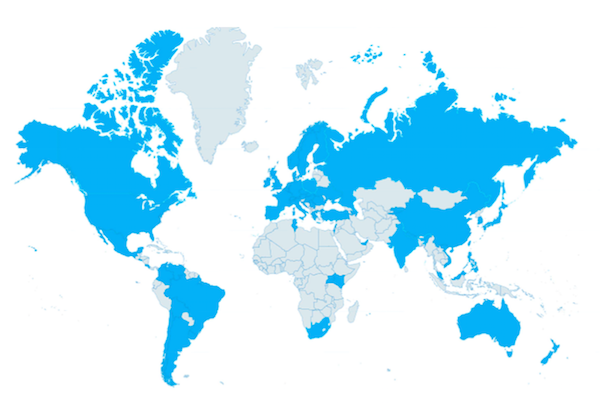 The 93rd IETF summit was attended by 1,384 guests and 152 (officially registered) spouses accompanying them. 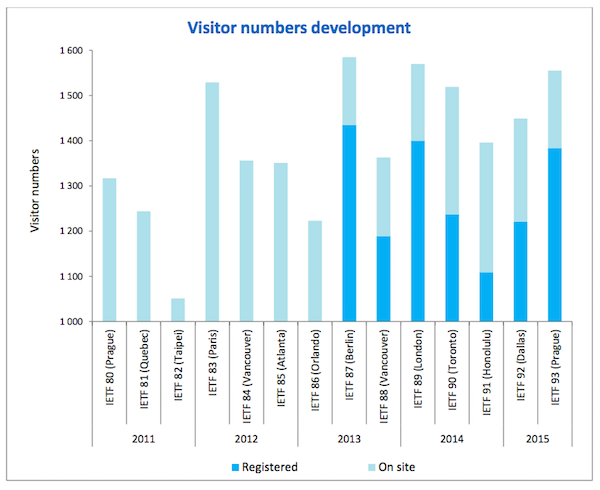 In regard to the number of participants, the Prague IETF was one of the largest (following those in Berlin and London) in the last 5 years. This year’s event was a bigger success than IETF 80 hosted by Prague at the beginning of 2011. It means that over one-third of the world’s representatives came to Prague — from 64 countries, including Kyrgyzstan, Nepal or Vatican.